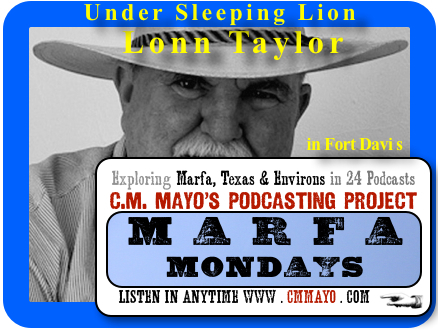 An interview in Fort Davis with historian Lonn Taylor, the "Rambling Boy" columnist for the Big Bend Sentinel, and author of several books, most recently, Texas People, Texas Places. Recorded in March 2015. "Everybody kind of has a stereotype of Marfa either as the cattle town where they filmed 'Giant' or a contemporary art center. I like discovering things that don't fit into that stereotype."